Quite a long time ago on this blog, I wrote a letter that was just for kids, about proving to their parents that they are ready for a dog. It was filled with my best secrets from my childhood memories of convincing my parents to let me have a dog. Parents may not have been so amused by some of my more humorous advice, but overall I think it got kids thinking about how to best show that they can be responsible dog owners. Guide Dogs! 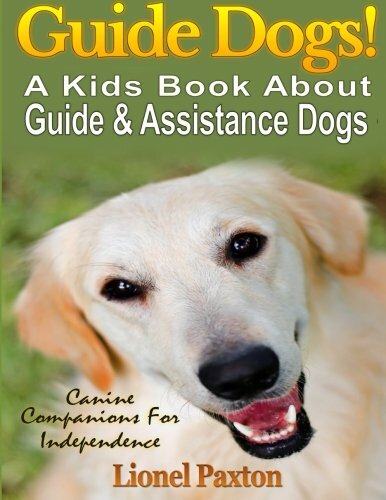 A Kids Book About Guide & Other Assistance Dogs: Fun Facts About Canine Companions For Independence, Learn About These Dog Heroes ... Dogs, Hearing Dogs & Assistance Dog Training. Today, though, I wanted to address the same issue from the parents’ point of view. Just because your kid has started pleading their case, how do you really know that they are ready for a dog? I can hear you asking already: Ash, just give me a sign. Well, you’re in luck, because I’ve rounded up a whole group of signs that will let you know your child is really ready to be a great dog owner. This is handy advice for this time of year, because getting a kid a puppy for Christmas is still a time-honored tradition for many parents. But you’ve got to be smart about it – if your child isn’t ready, the new dog will be just as unhappy as you are. When your child sees a dog at the park or walking down the sidewalk, what does she do? Does she run over and get in the dog’s face right away? Does she screech and make a lot of noise and run around? Does she pull the dog’s tail, pick him up without asking, or ignore the dog’s signals? If so, your child may not be ready for a dog. The type of behavior you are looking for is a child that patiently waits for the dog to approach her. She is calm and watches the dog for signals, and asks the owner before she tries to touch the dog at all. It’s very important that children of all ages know that dogs’ personal space has to be respected until they know you. Does your child regularly follow through on all their chores without being reminded? Do you forget half the time what your child has to do because it’s become so routine for them to do it? These are great signs that your child is ready for a dog. Dogs require regular daily care that includes feeding, watering, taking outside, exercising, grooming, and more. While age appropriate activity is important – you may not want your five-year-old trimming the dog’s nails – take a look at consistency more than activity level. The key is that your child will always, every day, follow through with their doggie care responsibilities. If your child starts asking you about having a dog, one thing to watch for is how knowledgeable they are, before you talk to them, about what the dog will need. If during their plea for a pet, they mention that they will feed it, walk it, clean up any accidents, and brush the dog’s coat every day, then you know that they at least have some understanding of what the dog will need. Try this if you aren’t sure: ask your child to estimate how much time they’ll need every day to care for the dog. If they think they can get all that exercise, feeding, and care into “I dunno, an hour?”, then they likely haven’t done enough research. Likewise, if they say “Hours and hours!”, then they are overestimating themselves. Help them figure out how much time it may take to take care of the breed they’ve mentioned, and together figure out if they have that kind of extra time in their day. “My Dog is My Child,” You Say? Stoppit, Please! If you are about to bring a new baby into the family, don’t get your child a dog. This is not the best time to add a new responsibility to your household. Many parents do this because they think it will be good for the child to have a new playmate while your attention is on the baby, but the fact is that your child will need your attention more than ever. Getting them a dog as a distraction is not a good idea for the dog or your kid. If your child is hyperactive and easily distracted, he’s probably not ready for a dog. While dogs can help hyper kids work out their energy, kids with just tons of zany energy can make a dog really uncomfortable. That can lead to snapping and other dangerous situations that are best avoided. If your child tends to discard “favorite” toys on a whim and never mention them again, or zip from activity to activity without a care for finishing one, he’s not ready for a dog. He needs to be able to give a pet his full focus and complete training exercises with the dog on a regular basis. Does your child share very well with other kids? This means toys, food, treats, and attention. Bringing a dog into the house does mean that you as the adult will have to spend some energy on the dog, getting him trained and ensuring that he’s happy in your home. Your child will need to share some your attention and resources with the dog. They’ll likely also end up sharing the same space, so it’s important that your child is okay with that. Does your child brush her teeth, prepare her own snacks or simple meals, and clean up after herself on a regular basis? These are good signs that she’s mature enough for a dog. She doesn’t have to be already totally independent. But knowing how to take care of yourself, and demonstrating that you won’t go days without brushing your teeth, for example, is a good sign that you’ll also have the presence of mind to take care of a dog’s needs without a lot of help. Has your family recently babysat a dog for a friend, or maybe fostered a shelter dog until it was adopted? Or has a neighbor recently asked your child to feed their dog and walk it while they were on vacation? Any of these “trial runs” with dogs can show you in great detail how well your child would do with a dog. These are very handy ways to guess whether or not your child may be ready for a dog, so I would highly recommend arranging something like this if you can. Finally, it’s important to consider what the rest of the family wants or needs before getting a dog. Even if the dog belongs to your kid, the rest of the family will have to live with it too. Be sure the dog is friendly with babies, for example, if you have a younger child. 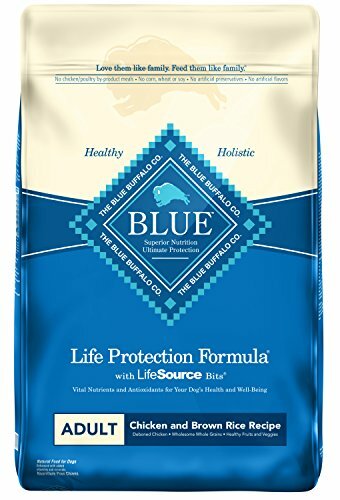 Be sure the dog doesn’t shed too much if your spouse has allergies. These considerations are important for making sure that everyone in the house is happy with the decision, which ultimately means the dog will be happier too. Good Dog! 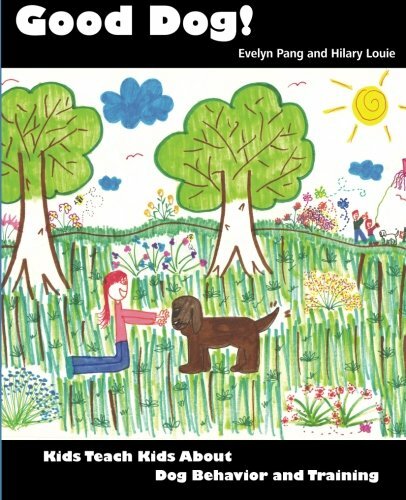 By Evelyn Pang is a book where kids are teaching other kids all about dog training. It’s a cute book but also educational, and easy for early readers to get into. Puppy Training for Kids by Sarah Whitehead is an illustrated guide that is written so that elementary school aged children can easily understand it. This book gives a really good idea of how much time and effort will be needed to train a puppy. Guide Dogs! by Lionel Paxton, is a book for kids with tons of facts about assistance dogs, such as dogs for visually impaired owners. This may not apply to your situation at all, but it can help kids understand that the more work they put in, the more amazing things dogs can do. National Geographic’s Woof! 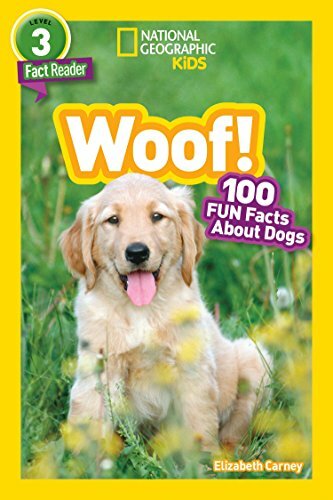 is a great way to give kids some fun facts about dogs while they learn. This is good for early readers, and while it doesn’t talk much about training or care, it does give a child a sense of how many breeds of dogs may be better for their family than others. If your child is a teenager, it may be wise to have them contribute part of their allowance or job earnings towards the dog’s care. The point of this discussion isn’t to guilt trip your child into realizing just how much a dog costs, but to make sure they understand the reality of what they are asking you for. At the end of the day, I believe that there’s nothing better for a kid than a dog. I had dogs as a kid, and I still remember how amazing I felt when I got my first one. That dog went with me everywhere, slept in my bed, and helped me make new friends when I was a bit of a loner in school. Dogs have been shown to help raise kids’ self-esteem, make them more responsible, and give them a better outlook on life in general. That being said, it will only harm the dog and your family if you get them a pet before they are ready. And remember that even if they are ready, you’ll still have to be involved. If your child is younger, you’ll need to be ultimately responsible for ensuring the dog’s well being, so you’ll have to be ready for a dog as well. And if your child is older, there’s a good chance you’ll be caring for the dog yourself for a few years soon, because college doesn’t typically allow the family pet to tag along. They may also end up moving for a first “real” job to a place where they can’t bring the dog. These things must be considered in your long-term plan for the dog’s care. With all that being said, getting a child who is ready for a dog their own pet is a wonderful thing that can make everyone in the family feel closer and be more active. Take your time to choose a dog breed that is right for your family and your child, and you’ll all be much happier and healthier with the new addition to your family.